A 10' Class III, 3.5-4.5 ips, sink tip fly line designed for maximum castability and line control. 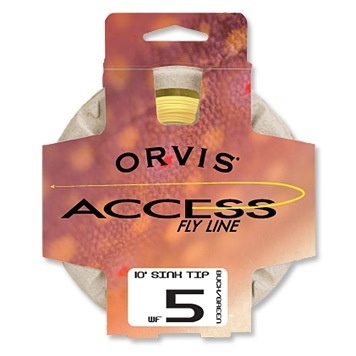 An ideal sinking tip fly line for lake, pond and river fishing to help get flies down quickly and maintain a straight line connection to detect subtle strikes. High floating head behind sinking tip makes mending and line management possible. Braided multifilament core performs in a variety of conditions.